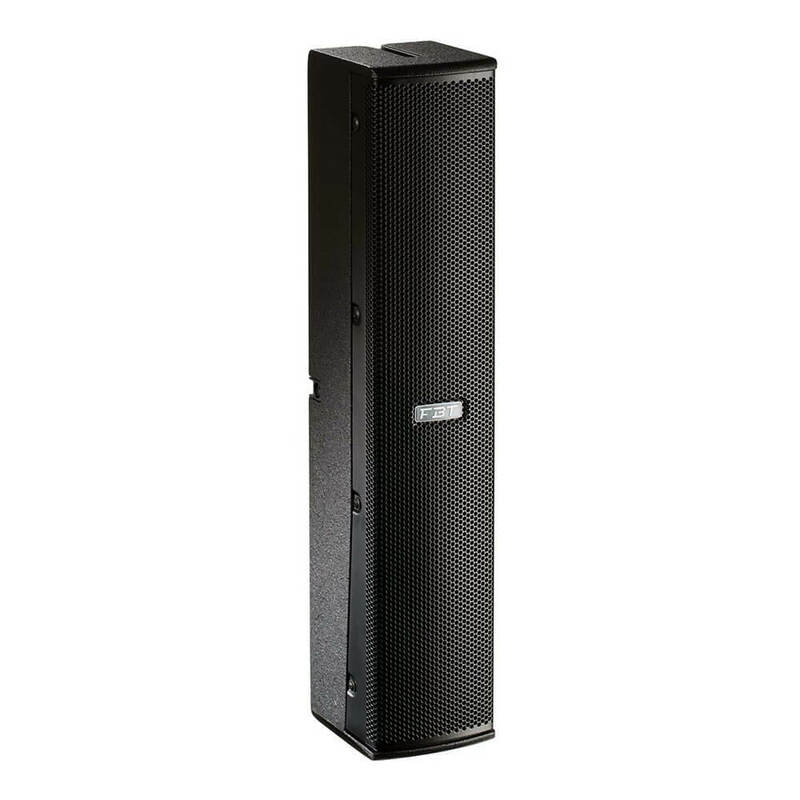 Created as a no-compromise choice for both live performers and installers, the VERTUS CS1000 compact line array combines maximum performance with a modular, scalable approach. 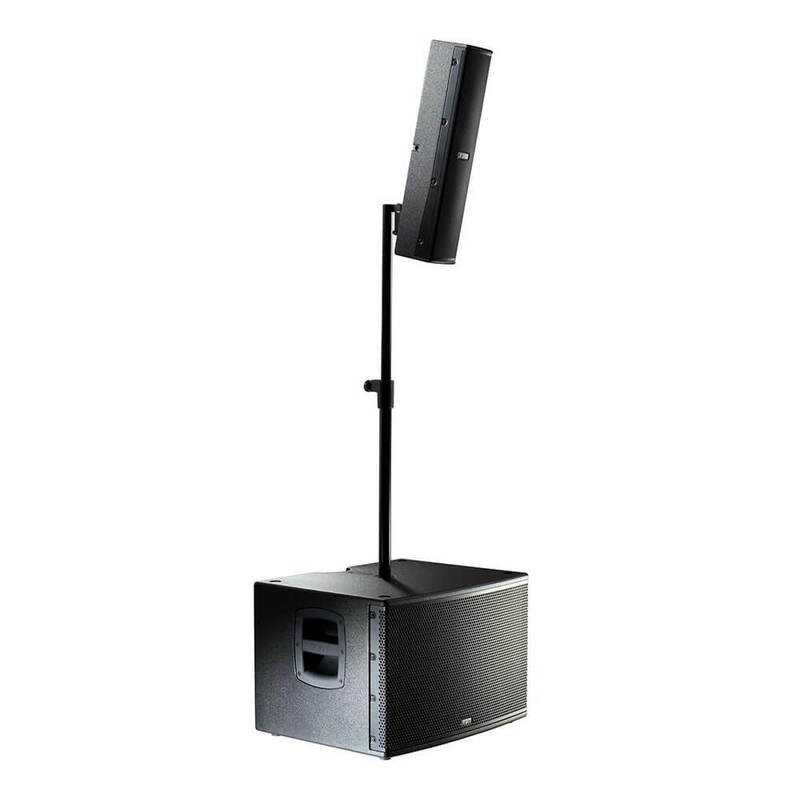 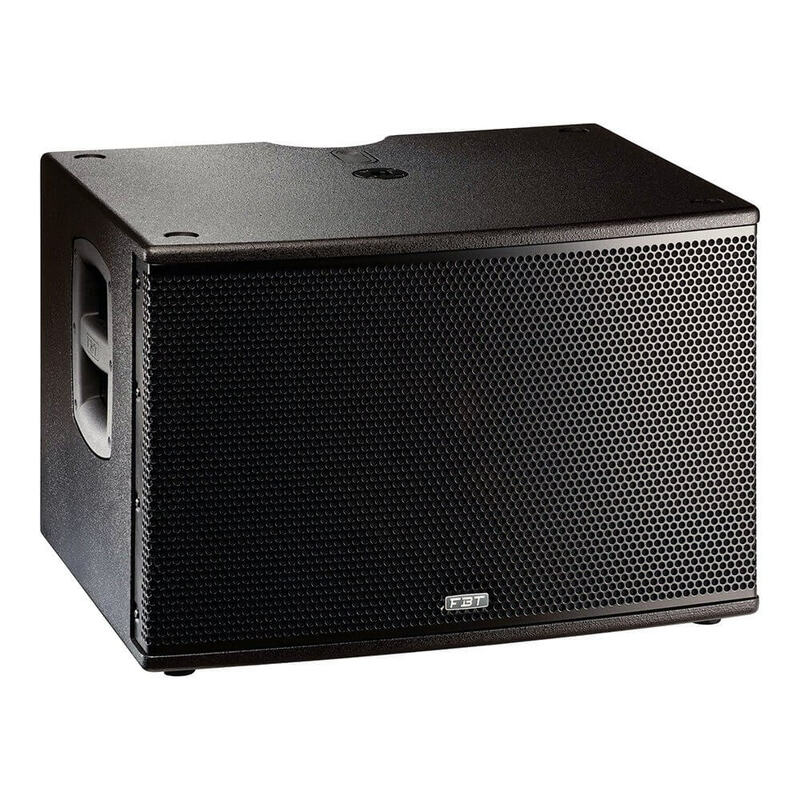 Its lightweight but sturdy construction blended with FBT's distinctive engineering and elegance has delivered a system that can be deployed on stage within minutes, or discreetly integrated into the most delicate of decors to provide high-quality sound and controlled directivity. 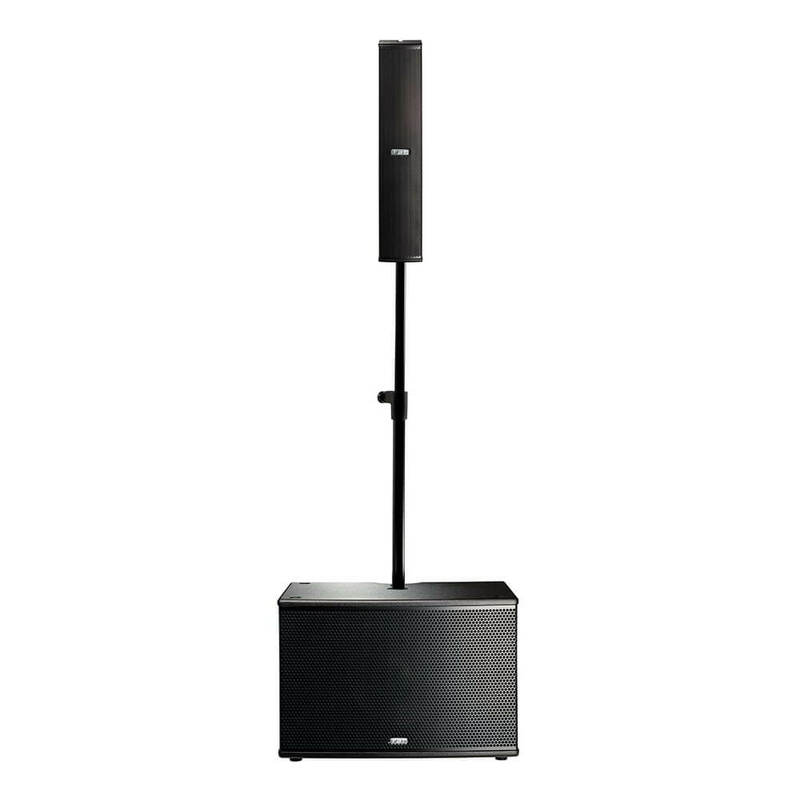 A bi-amplified design, the system comprises a long excursion 12” bass reflex subwoofer and a passive mounted satellite, linked via a Neutrik Speakon connector and equipped with six full-range neodymium 3” drivers. 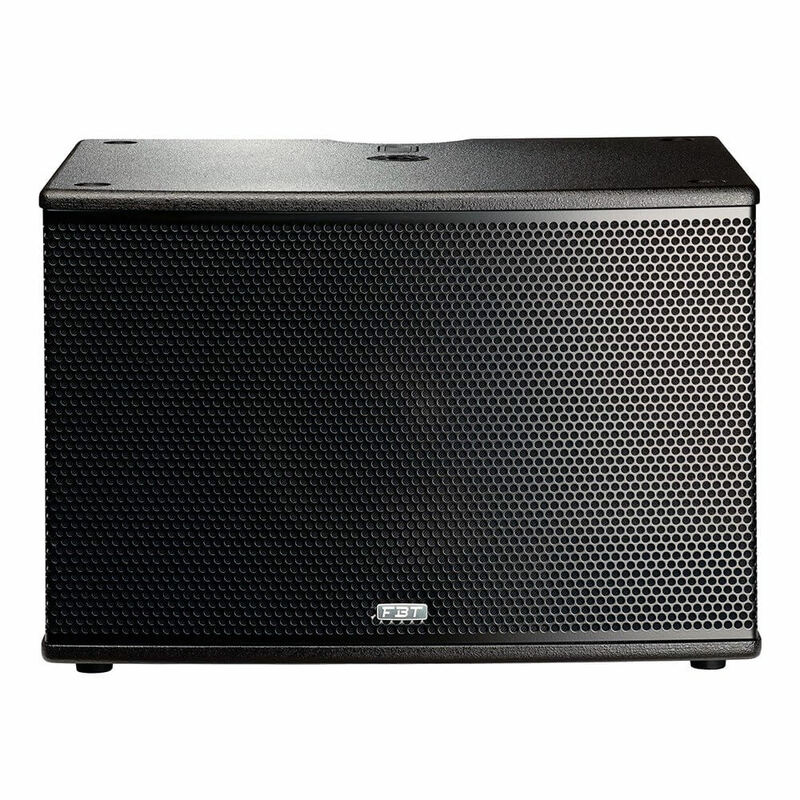 Onboard the subwoofer is a Class-D, two-channel amplifier, complete with switch-mode power supply, delivering 600W RMS to the subwoofer and 400W RMS to the satellite, both of which are housed in birch plywood enclosures. 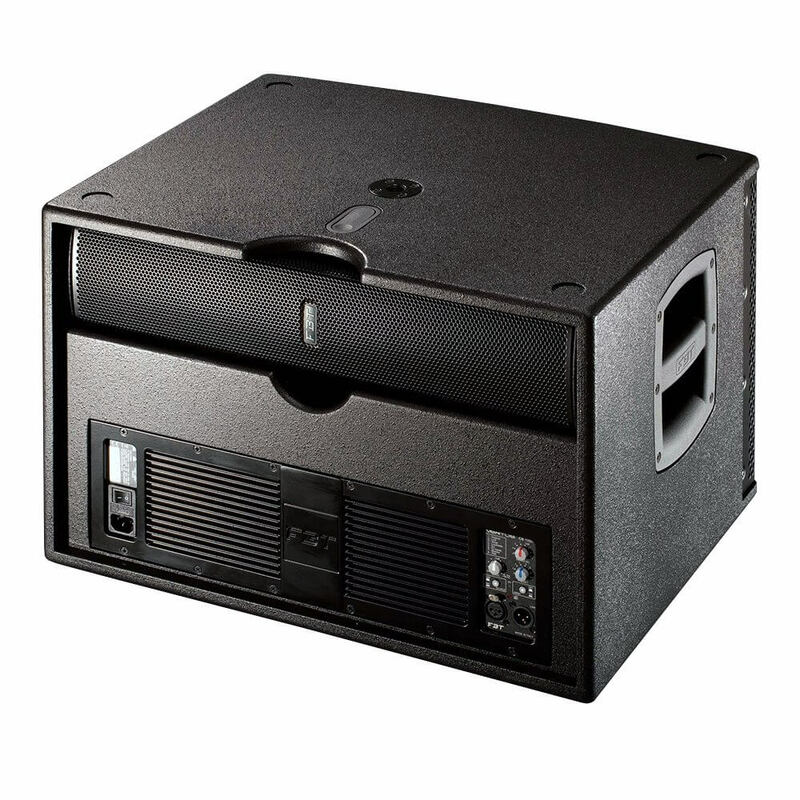 For ease of use, a storage compartment is provided within the subwoofer enclosure to securely house both the satellite speaker and its supplied mounting pole for storage and transport. A dedicated locking system holds all of the equipment in place.